When we first moved to the Birmingham area last year, I started a series on our blog called, "Birmingham Eats." I guess you could say life happened, and we slacked off with this series. Well, I'm happy to say it's back, and I'm excited to show y'all all the yummy places "The Ham" has to offer. 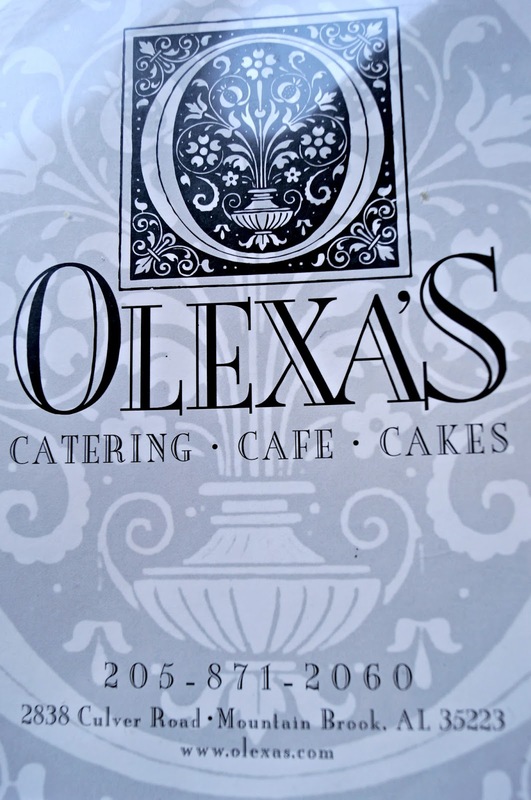 When Stephanie suggested we head to Olexa's for lunch, she raved about their dessert first, and then their food. And considering my plate after it was all said and done... I'd say I couldn't or wouldn't complain about my entree or my dessert. I'm already trying to talk the Mr into having lunch with me there, VERY soon. I know he would love it! I ordered the Smoky Turkey Panini with a side salad, and Stephanie ordered their Chicken Crepes with salad. Let me just say that I loved my panini. I love honey mustard, and love to try out different versions of honey mustard with my sandwiches, and theirs was delicious. It also came with a creamy house sauce that was to die for! The side salad had a yummy vinaigrette dressing. Stephanie's crepes looked delicious. They were topped with a creamy sherry sauce. 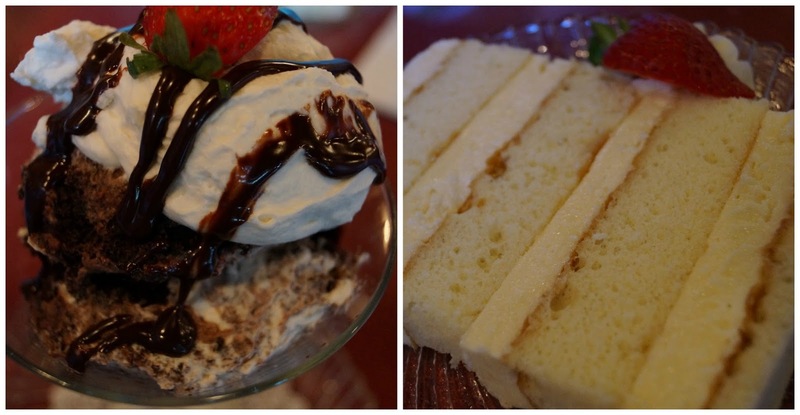 People are always singing praises of Olexa's desserts, so you know we had to sample some of their sweets. We both ordered something different so we could sample each other's choice. I went with the Chocolate Fudge Cloud Nine, and she decided on their Warm French Vanilla Buttercream Cake. I was definitely on cloud nine from the moment I laid eyes on my desserts. The presentation was perfection, and the taste was like nothing I've ever tasted before. It was heavenly. I mentioned that we both sampled each other's desserts, and by far that was THE best buttercream icing I've ever tasted — hands down! You can order cakes for special occasions or if you just want a slice of cake, you can pick that up for a treat, too. Thank you, Olexa's, for an enjoyable and memorable lunch. We can't wait to come back! Lunch was so good!! I was stuffed. The crepes were awesome, and the desserts were to-die-for! Can't wait to eat our way through Birmingham! That looks amazing! I love little places that have a bakery. Some of the best little places here are ones that have bakeries inside. I give Stephanie props for just being able to order a plain piece of cake... I would be trying the most delectable thing on the menu! My parents had them I think do their wedding. Haha. We now always order our bday cakes from there. So so good!! I LOVE Olexa's. Sorry to hear that you didn't like their chicken salad. It's my favorite thing on the menu. Next to the Warm French Vanilla Buttercream Cake! Wow that looks amazing! especially those desserts! yummmmmmmm!